Taking along your dog on a bike ride or run is one thing, but how about your drone. The next generation unmanned drone will be just as loyal of a companion and have the capabilities to follow and film your action without the need for you to stay attached to your smartphone. At CES 2015, we found this next round of drones catered to the action sport and outdoor enthusiast who want to live in the moment. Auto follow, smart sensors to avoid obstacles during flight, smart cameras to find you, auto-framing intelligence, the ability to take-off and land autonomously and streaming the video live to the internet or smartphone are some of the features you’ll see in the coming year. While the battery life has yet to be improved, the consumer drones are becoming lighter, faster, and easier to fly. We found some four-motored friends that will be more than happy to follow you home – no doggie treats required. This drone is designed for the adventure-seeking individual who wants to take their drone on-the-go. The Air Dog is GoPro ready, has an auto-follow feature and can take-off and land on its own when programmed. 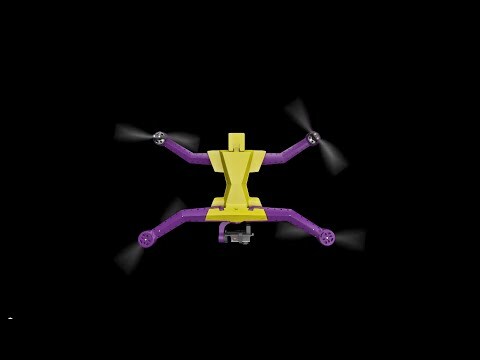 It also has an active camera stabilization system, can fly up to 300 meters, a hover and aim capability and has the ability to manage through obstacles. The battery life ranges 10-20 minutes depending on flight speed, it can go up to 40 mph and can handle a wind resistance up to 28 knots. This drone can be folded and carried for easy travel. An Air Leash is paired with the Air Dog if the user wants to stay connected with the drone or alter its route. This drone won the Best of CES 2015 award. This Kickstarter project raised over 796 percent of it’s goal and was another hit at CES; GHOST took home CES 2015 Top Pick award. This GoPro compatible, aerial filming drone designed by EHang also has an auto follow feature with a slightly longer flight time (18-23 minutes) and range (.6 miles) than some of the other drones on the market. The smart app paired with the drone has a Tilt Mode where the user can rotate and tilt the smartphone to control the GHOST. Other features include pre-program flight path program where the user can simply tap a location on the map and the drone will fly to that destination, and an auto-return where the drone will come back if it goes too far out of range. Currently the app is only available on Android- iOS is in the works. The GHOST comes in three versions and a variety of colors ranging from $600-800. This quadcopter has a smart mountable camera that uses sensor technology to identify the user and change direction in order to follow the action.